What is Collagen 2 Joint Complex? Collagen 2 Joint Complex is a supplement that claims to enhance joint hydration, comfort, and mobility. Its aim is to provide fluids for cushioning the joints towards better mobility and joint health. Thus, it is stated to relieve pain in the joints and improve the quality of life. The supplement Collagen 2 Joint Complex contains collagen Type II that is believed to keep the joints flexible by keeping the articular cartilage healthy. Additionally, it contains hyaluronic acid for more vitality. Who is the Manufacturer of Collagen 2 Joint Complex? 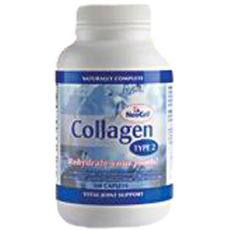 Collagen 2 Joint Complex is manufactured by NeoCell Laboratories. The company manufactures supplements that claim to maintain the health of joints, connective tissue, skin, hair, nails, and to improve the circulation of blood. Through a holistic approach, it aims to help buyers to live a comfortable life by eliminating the health barriers mentioned above. The company claims that all their supplements contain natural ingredients and that they put the consumers at the center of all their manufacturing processes. It is believed to maintain youth and vitality along with helping to make the joints more flexible, thus aiming towards general wellbeing. How Does Collagen 2 Joint Complex Work? According to the company’s claims, the supplement Collagen 2 Joint Complex uses a three-pronged approach. Its ingredients are collagen Type 2, glucosamine, chondroitin, and hyaluronic acid which work together towards relieving inflammation of the joints, improving mobility, and maintain youth and energy. The two ingredients that stated to help with joint health are chondroitin and glucosamine. Chondroitin contained in the supplement is believed to keep the cartilage hydrated so that there is better flexibility. Glucosamine helps in reducing inflammation and to build tissue. Hyaluronic acid retains the moisture of the skin and hair for a youthful look. Collagen 2 Joint Complex Ingredients – Are they Safe & Effective? Collagen Type 2 – Which may help in improving the toughness and tensile strength of cartilage. Glucosamine – Which might help in reducing pain as a result of inflammation of the joints. It also may help build new connective tissue. Chondroitin – This ingredient may help to retain the elasticity of the cartilage and prevent breakdown. Hyaluronic acid (HA) – It helps the skin cells to retain moisture, and prevent dryness, and slow down aging. What are the Advantages of Collagen 2 Joint Complex? The product may support joint flexibility, lubrication, and comfort. The product may also help reduce joint swelling. The product manufacturer claims it is manufactured using natural sternal chicken collagen to obtain glucosamine, chondroitin, and hyaluronic acid. May not contain gluten or other kinds of common allergens. What are the Disadvantages of Collagen 2 Joint Complex? It is available only in the US presently and cannot be shipped overseas. According to studies, collagen has not been proven to actually grow or repair cartilage. Has to be consumed along with Vitamin C tablets or orange juice instead of water for better effect and this may cause problems while traveling. The product may not be used on pregnant women or lactating mothers as the side-effects are unknown. How Should You take Collagen 2 Joint Complex? Collagen 2 Joint Complex should be taken once every day. The recommended dose is 4-6 capsules first thing in the morning with Vitamin C or orange juice. It is recommended that the person should not eat for at least 20 minutes after having the supplement. Pregnant women and lactating mothers should seek medical advice prior to consuming this supplement. Also, exceeding the recommended dosage for faster effect might cause adverse effects. How Much Does Collagen 2 Joint Complex Cost? Collagen 2 Joint Complex on retailers site costs $26.71 for a bottle of 120 capsules, $44.92 for 240 capsules, and $59.80 for the bottle of 360 capsules. What is Collagen 2 Joint Complex’s Return Policy? The return policy on the formula may vary from one retail store to the other. Does Collagen 2 Joint Complex Offer a Free Trial? The product does not offer a free trial. One may have to purchase the product in order to test the claims of the manufacturer. Collagen 2 Joint Complex is a supplement that may help the inflammation of the joint, relieve pain, and improve flexibility. Additionally, it also keeps the skin moisturized for maintains its vitality. The known ingredients used are relatively safe and are relevant as far as joint pains are concerned. The ingredients also help to retain the synovial fluids in the joints and keep the cartilage healthy. The product may cause problems while traveling unless consumed alongside Vitamin C or orange juice in place of water. In addition, pregnant or lactating women may not use this product as the side effects are unknown. If living outside of the United states, you may not be in a position to ship this product. In as much as the joint pain product supposedly has benefits, there is no harm in taking a look at some alternatives in the market.